Event alert: Spy Vibers in the London area have a chance to see a special screening of Skyfall next October at the Royal Albert Hall with live symphony score! From the press release: "Skyfall will be screened for the first time with the score performed live by a full symphony orchestra at the Hall next autumn. Film Concerts Live! is proud to present the World Premiere of Skyfall in Concert, the second instalment in the James Bond Concert Series, produced in association with EON Productions and Metro Goldwyn Mayer Studios (MGM). 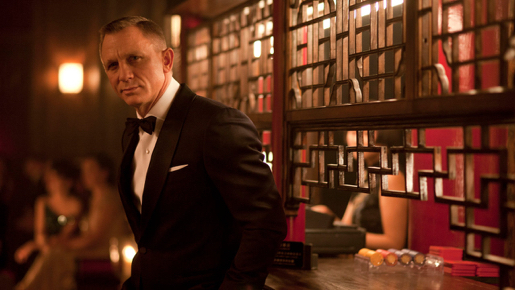 Daniel Craig returns as the legendary secret agent in the franchise’s most successful film to date. Now you will be able to experience composer Thomas Newman’s BAFTA-winning original score performed live by the Royal Philharmonic Concert Orchestra in sync to the picture! Directed by Sam Mendes, Skyfall pits 007 against one of his most formidable foes… the ruthless cyberterrorist and former MI6 agent Silva (Javier Bardem). The action begins when a hard drive containing the identities of every undercover British agent is stolen. Bond’s mission to recover the stolen drive takes him from a thrilling chase across the rooftops of Istanbul to the violent underworld of Macau, and ultimately to the streets of London and the very heart of MI6 itself. As the stakes grow higher, his pursuit of the villainous Silva leads to an epic showdown at Skyfall Lodge, Bond’s remote family estate in the Scottish highlands. Judi Dench returns once again as the steadfast M, and Skyfall introduces two familiar and beloved Bond characters: the ingenious quartermaster Q (Ben Whishaw), and the charming and resourceful Eve Moneypenny (Naomie Harris)." General ticket sales will open on Friday November 30th. Concerts are on October 4th and 5th, 2019. More info here. Made during the 50th anniversary celebrations of the cinematic 007 series, Skyfall was beautifully crafted from script to design to sound. My review of Skyfall here. Don't miss this special event if you are in London! 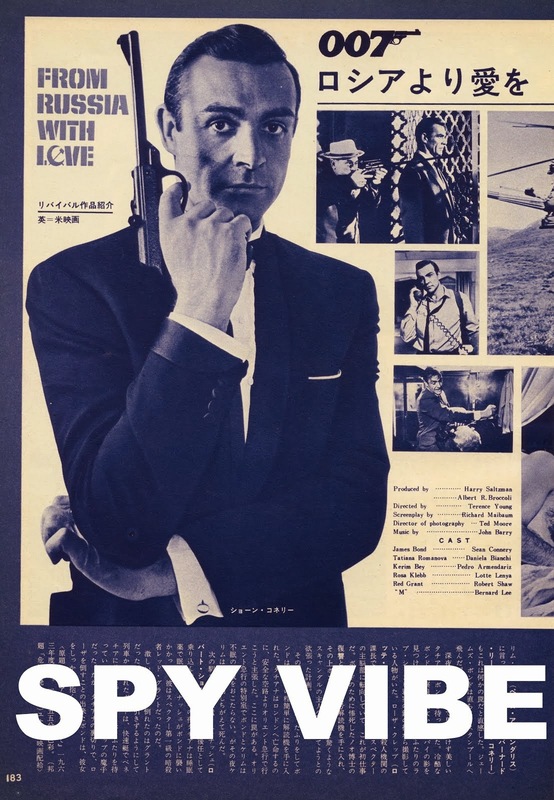 Spy Vibers, please check out my new book (over 700 pages!) 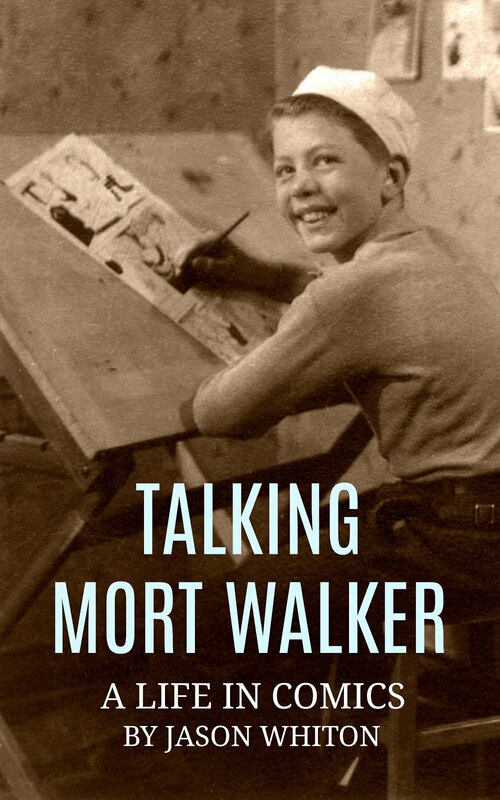 about one of America's great cartoonists. On other creative fronts, folks might not know that I began exhibiting as a fine art photographer in the late 1980s. I haven't shared that part of my life here, but readers might like to see some of my work on Instagram. Enjoy! 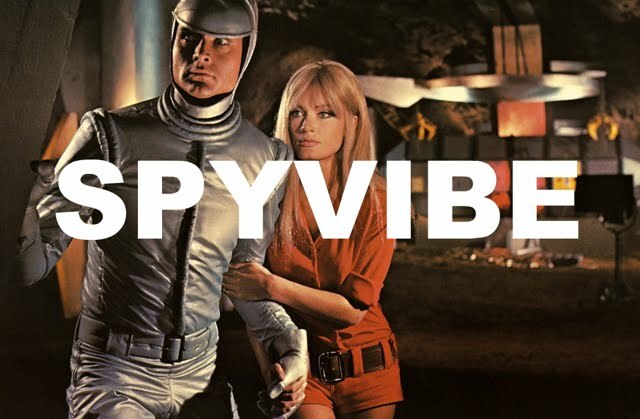 Selected Spy Vibe Posts: Dearest Emma, Spy Vibe Radio: Upperseven, Ogilvy at Elstree, Mabuse Propaganda, Bond Beatles Day, Spy Vibe Radio: Liquidator, Diabolik LP, Fab Dresses, Eurospy Music Collection, Beetle Bailey in West Berlin, Why Mort Walker?, Spy Vibe radio: The Beatles Help!, Avengers Critical Guide, The Spotnicks, Benny Spies, James Pond 0017', Satire Stones, Annette Andre Book, Cat Day, Spy Vibe Radio: Get Smart, Caine: My Generation, Interview: Ian Ogilvy, Horror of Party Beach, Sylvie Vartan Renown, Ringo At 78, Dark Shadows Strips, Spy Vibe Radio: Flint, Archie Batman 66, Paul at 76, Beatles Pac-Man, Spy Vibe Radio: Jerry Cotton, The Invaders, 007 Horowitz Book Tour, McGoohan/Prisoner Event at Elstree, The Prisoner Interviews Vol 1, British Underground Press, Interview: Fab4 Mania, Bond Cocktail Book, Bond at Bletchley, Spy Smasher, Spy Vibe Radio: Peter Gunn, Agent Zero M, New Prisoner Comic, Dr. No Villains Edition, Spy Vibe Radio: Danger Diabolik, Dr. No 60th, Oy-Oy-Seven, Spy Vibe Radio (UFO), Cold War Comic Strips, Thunderball Event, Mission to India, Mort Walker Celebration, Peter Wyngarde Celebration, Batman 66 Exhibit, Prisoner Fifty Event, Ian Fleming Publications 2017-2018, Interview: Ed Hulse Pulp, Avengers Audio Drama, Interview: Callan At 50, Interview: Playboys, Spies, Private Eyes, TWA Returns, Spy Vibe Radio 8, Interview: Ryan Heshka, Mid-Century Modern Schulz, Agent Werewolf, Mata Hair Exhibit, Johnny Sokko 50th, Interview: Trina Robbins, Eddie Izzard, The Prisoner Capt Scarlet 50th, Hugh Hefner R.I.P., Jack Good R.I.P., Interview: Shaken Not Stirred, Callan 50th, Spy Vibe Radio 7, The Prisoner 50th Event, Spy-Fi Event, Kaho Aso 007, Two Million, Bo Diddley, Carnaby Pop, Le Carre Events, Billy Bragg Skiffle, Elvis 68, Jack Kirby The Prisoner, Casino Royale Concert, Review: The Prisoner Vol 2, Interview: The Prisoner Essential Guide, Maud Russell Mottisfont, Spy Vibe Radio 4, Batman Gallants, Adam West R.I.P., Village Triangle, Roger Moore R.I.P., Spy Vibe Radio 3, Sgt Pepper 50th, Satanik Kriminal OST, 60s Overdrive, Make Love in London, Spy Vibe Radio 2, Spy Vibe Radio 1, James Bond Strips, Propaganda Mabuse, Interview: Police Surgeon, XTC Avengers, 1966 Pep Spies, Batman Book Interview, Exclusive Fleming Interview, Avengers Comic Strips, Robert Vaughn RIP, UNCLE Fashions, Thunderbirds Are Pop!, Interview: Spy Film Guide, Lost Avengers Found, The Callan File, Mission Impossible 50th, Green Hornet 50th, Star Trek 50th, Portmeirion Photography 1, Filming the Prisoner, Gaiman McGinnins Project, Ian Fleming Grave, Revolver at 50, Karen Romanko Interview, Mod Tales 2, Umbrella Man: Patrick Macnee, New Beatles Film, The Curious Camera, Esterel Fashion 1966, Exclusive Ian Ogilvy Interview, 007 Tribute Covers, The Phantom Avon novels return, Ian Fleming Festival, Argoman Design, Sylvia Anderson R.I.P., Ken Adam R.I.P., George Martin R.I.P., The New Avengers Comics, The Phantom at 80, 007 Manga, Avengerworld Book, Diana Rigg Auto Show, The Prisoner Audio Drama Review.